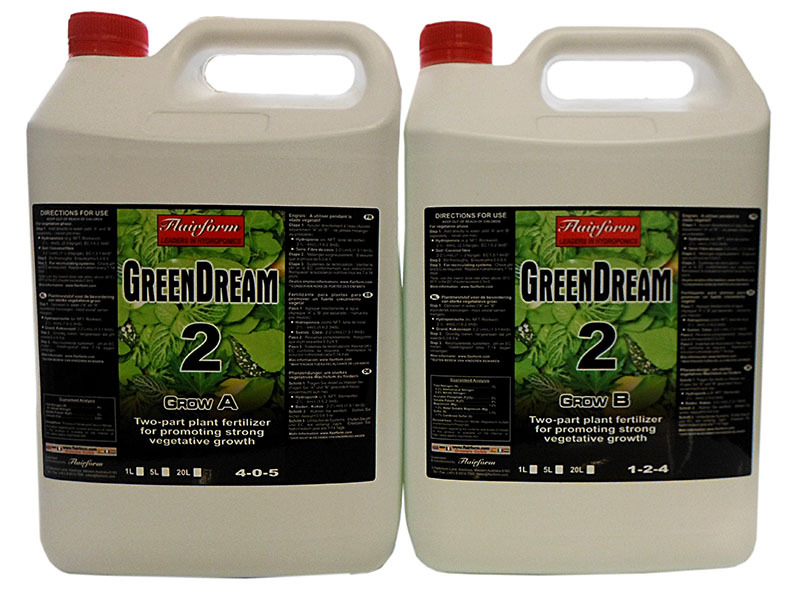 GreenDream-1 exploits slurry technology to provide a nutrient formulation that is superior to 2-part nutrients. Over 20% more concentrated than most 2-parts. 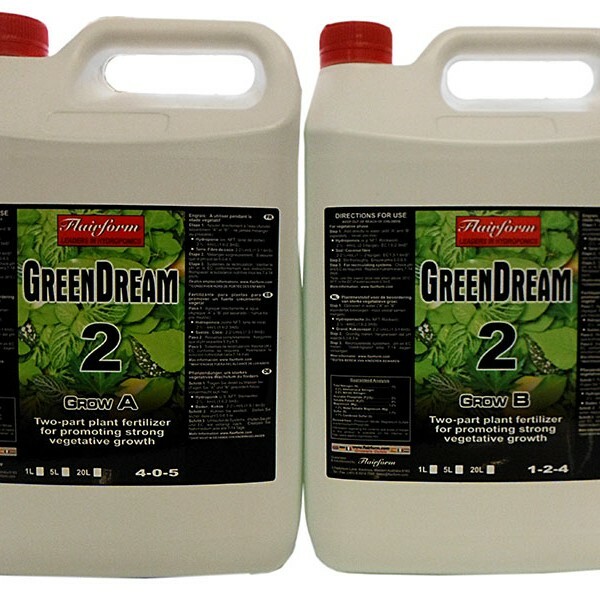 Less pH maintenance required because of very high pH buffering capacity: Growers are able to use high alkalinity waters without experiencing large pH fluctuations and the associated poor growth results. 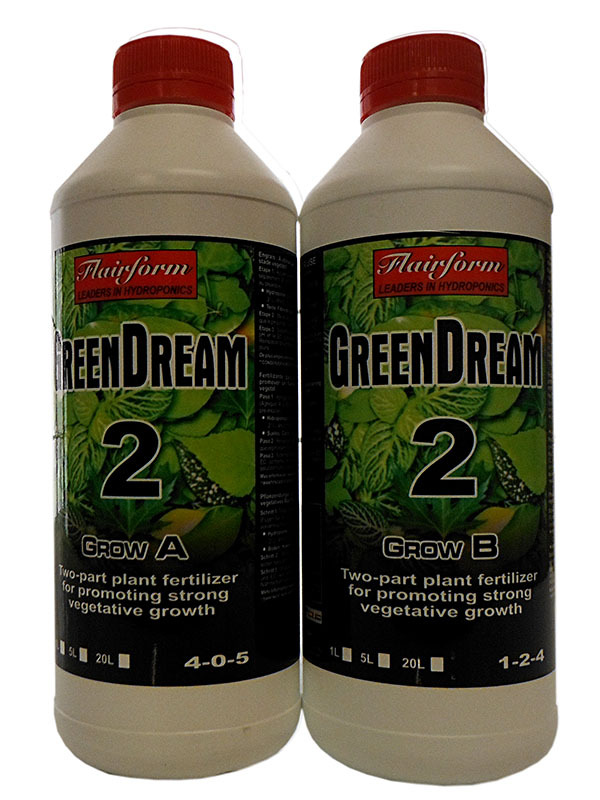 Easier to use: There is no chance of the grower making mixing errors because all nutrients are in 1 bottle. 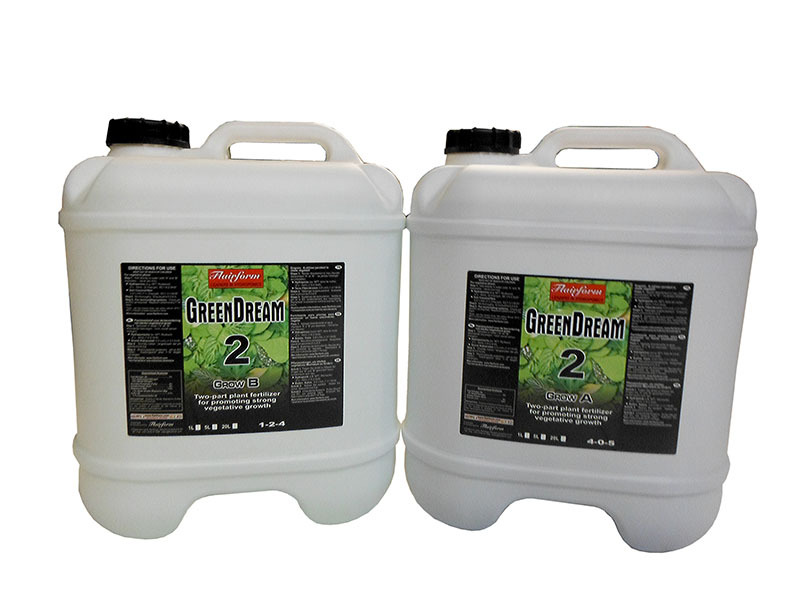 Fully soluble (no blockages): The slurry dissolves instantly when added to water and stirred. This helps prevent equipment failure (e.g. pumps, jets/drippers & filters) caused by sludge build-up. 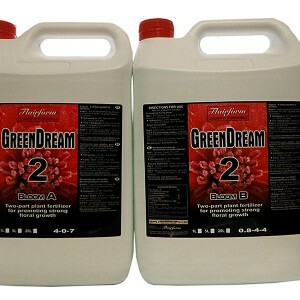 Contains the full range of chelated trace elements. Universal formulation for hard and soft water. 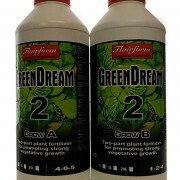 For hydroponics, coco or soil. 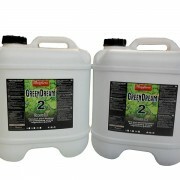 Available in Grow (3-1-5) and Bloom (2-2-6).